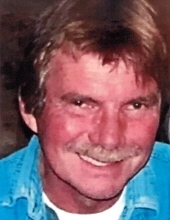 ROCKVILLE-Stanley Wittenmyer, 67, of Rockville, Indiana passed away at 5:51 pm Monday, April 8, 2019 at his residence. He retired from Dormeyer Industries in Rockville with 35 years of service and was a self-employed contractor/builder. He was born May 25, 1951 at Clinton, Indiana to Robert Wittenmyer and Opal Smedley Wittenmyer. Survivors include his wife of 18 years, Cassie Cooke Wittenmyer whom he married January 27, 2001 in Negril, Jamaica. Also surviving, his parents of Rockville; two daughters, Dereth (Dusty) Kirby of Riley and Meredith (Scott) Harrison of Brazil; two brothers, John (Carol) Wittenmyer of Crawfordsville and Don (Vickie) Wittenmyer of Waveland; three granddaughters, Daphne and Darcy Kirby and Carly Harrison; one niece, Andrea Wittenmyer; one nephew, Dylan Wittenmyer. He was a graduate of Turkey Run High School. He was a member of the Sons of American Legion Fellenzer post 48 in Rockville. Memorial services will be 1:00 pm Friday, April 12, at Gooch Funeral Home, 112 W. Howard Street, Rockville, with Pastor Gene Walls officiating. Memorial visitation will be from 11:00 am until 1:00 pm Friday at Gooch Funeral Home. Memorials should friends so desire, may be made to the Parke-Vermillion Humane Society, PO Box 155, Clinton, IN 47842 in his memory. To send flowers or a remembrance gift to the family of Stanley Wittenmyer, please visit our Tribute Store. "Email Address" would like to share the life celebration of Stanley Wittenmyer. Click on the "link" to go to share a favorite memory or leave a condolence message for the family.